Welcome to the Fortune Family! Fortune Academy is the world’s first LIFETIME financial education provider. It has taught over 15000 students since 2016 and has successfully created profitable trader, business owners and investors in many industries. 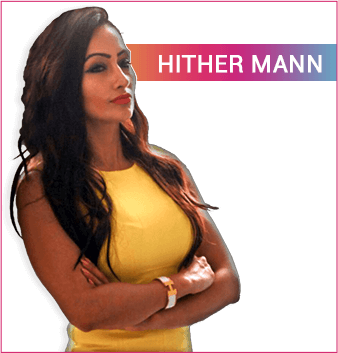 Fortune Academy events are held primarily in London where people from all over the world travel to benefit from the wealth education provided by Hither Mann and her “Fortune Family”. Make sure you visit the events page to register for FREE for the next London event to learn the areas we cover from The Millionaire Mindset Program, Financial Trading, Cryptocurrency education and Online Business programs via Ecommerce. The EXECUTIVE branch of Fortune Academy focusses on Institutional business from IPOs and Private Equity Ventures as well as FinTech companies. Hither offers these events as ‘invite-only” events to a select UHNW audience. Learn more about all the above at the events in London! I grew up in a traditional household where there were many money problems and I knew fro the age of 9 I was going to be super wealthy one day to help my parents out of their difficulties! I grew up believing that the traditional education system would provide all the answers, but it didn’t. All it gave me was a JOB that I felt very trapped in. So I started my journey in wealth education in the real world, attending seminars and business networking groups from 2004 where I learned real wealth building skills! I started my wealth creation in the distressed property market and soon built a multimillion pound portfolio by my mid twenties using “no money down” techniques that were rife pre-2008. The 2008 crash was a blessing in disguise; all my properties survived and remained in positive equity and moreover I came across a new way to create wealth – though the financial markets! My biggest driver is self-education and this industry allowed me to create wealth in a more time efficient manner (although a very difficult industry to master initially). I used my networking skills to introduce business to and eventually learn 1:1 from a trader in the City of London how to trade the financial markets. Once I mastered this, I have never looked back and the time it has given me to create other businesses and most importantly do the things that matter to me and greater causes has been the best gift in life to date! Now I am a Founder of a Mental Health Charity which helps people deal with the stress of money problems in their lives (since this was very close to home for me). I also set up Fortune Academy which offers LIFETIME education for wealth education since I found no-one was offering this when I was starting my journey. My legacy is to help as many people develop a healthy relationship with wealth, understanding the building blocks of sustainable wealth in life so that money never has to get in the way of “living” your best life! Come and meet me at my signature events in London so you can learn more from my incredible Fortune Family! Ready To Join The Fortune Family? Take the first and most important step to joining the Fortune Family and the lifetime education that awaits you at Fortune Academy! Attend a preview event in London to see what we can teach you about wealth creation in your life! HERE ARE MY LATEST VIDEO MESSAGES!